If you are paying an EMI which is significantly more than Rs. 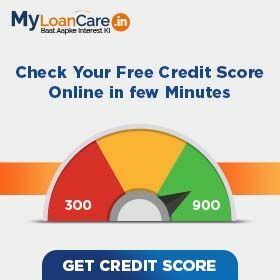 776 per lakh of loan amount, you should transfer your loan to another bank. Based on the comparison of home loan interest rates of all banks in India, Bank of Baroda, PNB, Central Bank of India, United Bank of India are the best banks to transfer your loan, given their current low home loan rates of 8.60% - 8.65%. These banks also give attractive top up home loans along with home credit facility if you decide to transfer your loan. Home loan are long tenure loans of up to 30 years and hence, you are bound to spend a large amount your income in servicing it. Home loan interest rates matters as more than 50% of your home loan EMI component is loan interest amount you pay to the bank during the loan tenure. The current interest rates on home loan ranges from 8.60% to 12.10% with a lowest EMI of Rs. 776 per lakh. You should seriously consider transferring your home loan to another bank, if you feel that interest rate and EMI you are paying on your existing loan is higher than the lowest rate and lowest EMI offers in the market. What are the benefits of transferring house loan to a new bank? What are the eligibility criteria for housing loan transfer to new lender? Foreclosure charges payable to existing bank for take over of fixed rate home loans. In case of floating rate home loans, banks are not allowed to take any fees to foreclose your loan. Processing fees on transfer may range from a flat fee Rs. 10,000 to up to 1% of the loan amount. However, banks offer discounts on processing fees from time to time and you must for attractive offers with marketplaces like MyLoanCare to get the most suitable loan offer for you. 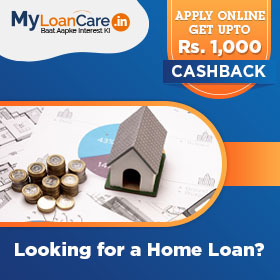 With MyLoanCare Home Loan Balance Transfer Calculator, you can calculate your loan amount eligibility and also identify offers with lower home loan rates compared to your existing home loan rates. Do complete market research before you choose the bank to transfer your loan to and apply for a balance transfer in terms of current interest rates, processing fees offers, home loan top up schemes from various banks, movement in MCLR rates of the new bank in response to policy rate changes as well as customer reviews of the bank. You must check that the lower interest rate being advertised by the new lender is real and not a shot term gimmick. Please ask your loan advisor for the benchmark rate track record of the new lender. Check that the service quality offered by the new bank you are choosing is up to your expectations. Lower rate should not come at the cost of inferior service. There are two commonly used benchmark rates for home loans – MCLR rate in case of banks and prime lending rate (PLR) in case of housing finance companies. MCLR benchmarked loans are known to be more transparent and hence preferable over PLR benchmarked loans. Interest rate on floating rate loans consists of two parts – benchmark rate and spread above it. While the benchmark rate is expected to change over time, the spread is supposed to remain constant except in case of a default. However, some banks offer floating rate loan with both the benchmark and the spread being variable. In case of many such loans, borrowers see their loan interest rates rise sharply after a few months. So, avoid loans with variable spreads and instead opt for floating rate loans that vary interest rate only with change in the benchmark rate. Check the cost that you will incur for effecting the change. These include processing fees, stamp duty (in some states like Maharashtra) and documentation charges. Some banks insist on a prior notice before you can prepay your home loan. Check your loan agreement carefully and ensure that due notice is given to or waived by your existing bank. How do I transfer my loan for an under construction property? Cost of property consists of multiple heads such as basic price, preferred location charge (PLC), external development charges, internal development charges, security deposit, electrification charges, power back-up charges, service tax, fire fighting charges etc. Norms for inclusion of each cost head differ across lenders. In case your chosen new bank does not include some of the heads in the cost of property which were included by the old bank, the loan eligibility may come down and you may need to increase your own contribution. The process of loan transfer may take 10-15 days from the date of application and your existing bank may typically take another 10-20 days to handover property documents to the new bank. You will not be able to avail further loan disbursements during this period. Hence, it is important you time the transfer of your loan at a time when you don’t expect any fresh demand from the builder for the next month or so. A builder will need to issue a fresh permission to mortgage (PTM) to the new bank and enter into a new permission to mortgage. This typically takes no more than 2-5 days but borrowers must check with the builder. In summary, balance transfer is beneficial to borrowers as it helps reduce cost of borrowing significantly. Home buyers and home loan borrowers must exercise caution in the process of balance transfer so that the process is smooth. What is the maximum limit for the transfer of amount? The maximum amount to be transferred is equal to the outstanding amount. However, you may avail top up loan such that the total loan including home loan and top up does not exceed 75% of market value of the property. When should I avail the house loan balance transfer? In case you are paying higher interest rate than those available in the market and the difference is more than 0.5%, you may consider transferring your loan. When should I not consider transfer ing my home loan? What are the home loan transfer charges? At the time of housing loan transfers to new bank, you will need to apply afresh for home loan. Applicable charges include processing fee (unless waived by the bank), stamp duty (ranges from nil to 0.5% of the loan amount depending on the state ion which the property is located), valuation charges (chargeable in some banks) and lawyer’s fee (chargeable in some banks). Can repayment period be extended at the time of transfer? Yes, repayment period can be extended up to the maximum tenure allowed by the new bank subject to the condition that the borrwoer’s age at the end of the loan tenure must not exceed 58 or 60 years in case of salaried borrowers and 65 or 70 years in case of self employed borrowers. Can I get a top up loan at the time of balance transfer? Based on your eligibility, the lender can offer you top up on the home loan to be transferred to the new bank but there may be processing and legal charges applicable. Do I require a guarantor for home loan transfer? Most of the banks do not require a guarantor for taking over an existing home loan. Is it possible to merge two existing loans through balance transfer? Yes, it’s possible to merge two existing loans into a single loan with to get lower interest rates. How much time will it take to transfer my house loan from existing bank? It might take around 15-20 days for the house loan to be transferred to the new bank. As per the 2019 TransUnion CIBIL report, shows that more number of womens are buying home as compared to male members. The rise in the number of buying more houses by womens is due to availability of preferential home loan schemes and convenience of co-borrowing. However, there has also been a rise in the number of successful credit applications by women borrowers which has marked a 48% growth between 2015 and 2018 as compared to 35% growth by male borrowers. In a bid to meet business needs and market competition, Allahabad Bank, a leading Nationalised Bank of the country has announced the launch of 53 Retail & MSME Processing Centres (RMPCs) pan India on April 10, 2019. With the launch of this facility, the existing and potential customers will be immensely benefitted with improved turnaround time and hassle free loan processing. Further, the lender is also aiming to achieve strong growth across its retail loans including home loans and mortgage loans this year. Punjab & Sind Bank has revised its Marginal Cost of Funds Based Lending Rate (MCLR) by 5 basis points across all tenors for the month of April. The move is supposed to make home loans and mortgage loans cheaper. Now for overnight, the MCLR stands at 8.35% as compared to 8.30% earlier while for 1 month, the rate has been revised to 8.45% from 8.40% respectively and for 1 year the rate now stands at 8.85% from 8.80% earlier. The revised rates are effective from April 18, 2019. Further, the base rate at 9.70% and BPLR at 14.00% remains unchanged.